Peter Missotten (°Hasselt 1963) trained as a video artist (one of the students of Chris Dercon at St. Lukas Brussels). He worked all of his life in and around theatre spaces - starting as a light designer for ‘The Cement Garden’ in 1983. This started a long and passionate stage designer relationship with Guy Cassiers, which went on and off during some 25 years ('Wasp Factory', 'Sunken Red', 'Rage d’Amour',' Der Fliegende Holländer', 'Onegin'… to name just a few). In 1994 he founded de Filmfabriek with Anne Quirynen and Anne Heyman: A company dealing with the crossover between digital and performance arts. They worked intensively on projects with artists as William Forsythe, Wim Vandekeybus, Guy Cassiers and Georges Aperghis. Artists as Wies Hermans, Bram Smeyers, Kurt d’Haeseleer and Ief Spincemaille joined them over the years. From 2000 on, Peter Missotten evolved slowly from a designer of digital media art for the stage into a director for performance arts and opera productions. In 2009, he directed the world creation of 'KEPLER', an opera by Philip Glass for Linz09 at the Landestheater Linz. In 2010 he created 'MONTEZUMA - FALLENDER ADLER', an opera by Bernhard Lang, for the Nationaltheater Mannheim. He designed the stage and light concept for quite a few choreographies, by example 'The New Factory' by Guilherme Miotto and Michael Schumacher for Dansgroep Amsterdam. 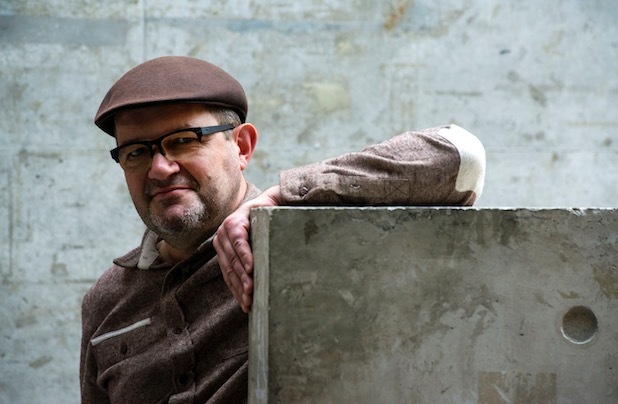 He developed a visual, performance based libretto for 'THE GOLEM', a new opera by Bernhard Lang, which he staged (direction, video, lights and stage design) for the Nationaltheater Mannheim in april 2016. He teaches performance arts at the Toneelacademie Maastricht and is professor Technology Driven Art for the Arts department of Zuyd Hogeschool the Netherlands.